The Flowline story began in 1982, when we originally launched as Essex Plumbing and Draining services. Thirty five years later, we have now become a leading environmental drainage service organisation that focuses heavily on delivering quality services to all project deadlines SAFELY. 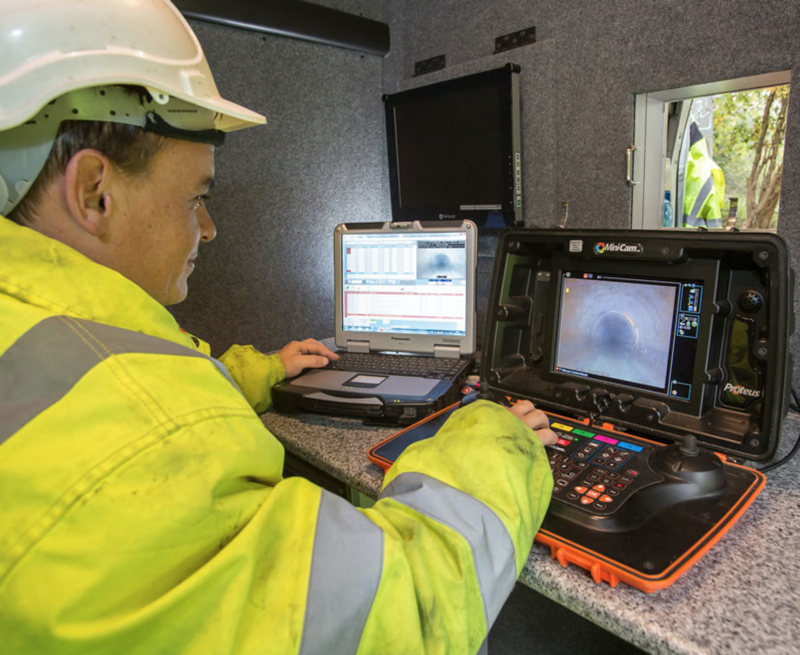 Our specialist services division, Clearaway is incorporated by Flowline, as we saw a niche in the market to extend our capabilities with pipe relining, patch lining, specialist high pressure water jetting and robotic cutting. This lining division is extremely experienced and understands the specific requirements of Network Rail processes and procedures. This had led to extremely satisfied customers on projects such as Carillion Telent. The flowline story continues and we now have over 100 fleet vehicles and a highly skilled team with vital qualifications such as: CIM, CSCS and WRc. We regularly invest in developing our TEAM to make our best services even better and we regularly communicate with our Board members to innovate and develop our services. Additional highlights of our services can also be seen with a wide array of environmental services such as: public highway drainage systems, public sewer systems, rail drainage networks, private drainage/sewer systems, CCTV Asset Surveys including HADDMS, Gully & Catch Pit Cleaning, High Pressure Water Jetting (HPWJ), Liquid Waste Tankering, Road sweeping, Relining & Rehabilitation. Furthermore Flowline ensure we have the best software on the market to make our operations even more safe and effective in your risk management with: Fieldviewer, Kaarbontech, Haddms and Fleetmatics. Further details about our technology software can be found here. Environmentally Flowline understands our corporate responsibility to the environment we live in and we regularly keep updated by the Environment Agency and support all Water Company campaigns in using water resourcefully. With Flowline Kaiserwhale tanks we also have the capabilities to save water and recycle water on site, which offers a fast turnaround in project delivery and uses water resourcefully. Our Rayleigh plant also treats 95% of arisings from drainage operations and this cleansing minimises the amount of material taken to landfill. Particularly noteworthy was Shaun & Derek, they did a fantastic job in Cable Street & Old For Road under very challenging conditions. Many thanks for arranging this so quickly. The guys turned up to site on time, and with a professional manner which was appreciated. Please pass on my grateful thanks to your chaps for getting the road open in time for rush hour traffic. I had a positively joyous journey home!